I was born in England and came to New Zealand with my husband and two daughters in 1972. My work background was for over 30 years in Sales and Marketing. For 10 years I was a Volunteer with the West Auckland Hospice. For 5 of these years I was the Manager of 120 Hospice Volunteers. We came to live in Tauranga in 2001 and I began listening to Village Radio, loved the music so not long after became a Volunteer in 2005. On the retirement of Kel Raine, who was in charge of the Record Library, I took over as Librarian. After 3 plus years I handed over to Cherry Feasey. 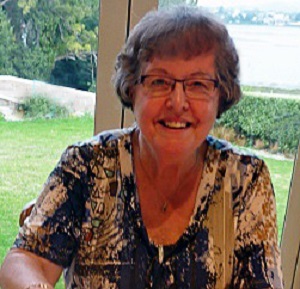 My interests are our 5 Grandchildren and 3 Great Grandchildren, Music, keeping Village Radio's website up to date and making DVD�s of the movies we have taken of the family and our travels.